Thousands of man-hours had been spent and hundreds of thousands of dollars on switching to the newest technology, only there was one significant and unforeseen challenge - no one was using it. Sound familiar? It happens all the time. In this case, the year was 1999 and unfortunately, since that time, I've seen this challenge happen repeatedly. 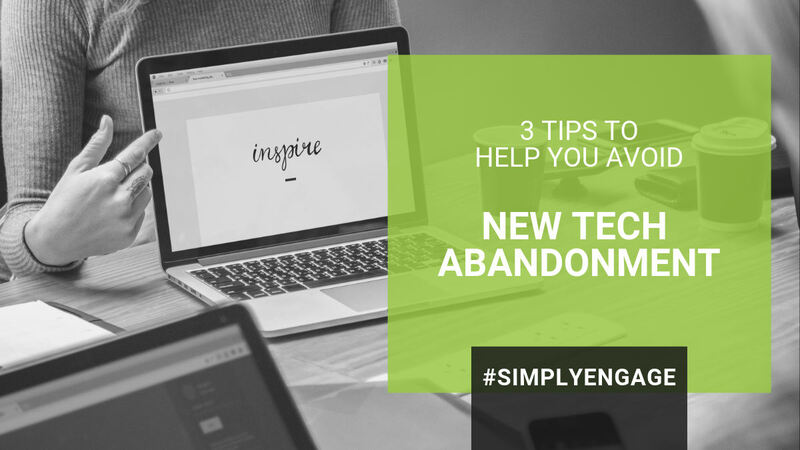 If you ask people why a piece of new technology doesn't get adopted, you will usually get answers like “it didn't do what it promised,” “the people weren't properly trained,” or it just didn't work with our current processes. Yet, in case after case, I've witnessed technology not be adopted that would have made a difference if it was used, the people were trained, and would have made current processes easier if implemented. If you are a large business, you want to avoid a tug of war happening between you and your people as you desperately try to get the ROI out of your new tool. If you are a small business, any money put into a new tool that remains unused can be devastating.